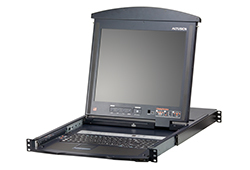 ATEN's KL1108VN 8-port Cat 5 Dual Rail LCD KVM over IP Switch features an independently retractable, dual slide 19" LED-backlit LCD monitor and keyboard with built-in touchpad. 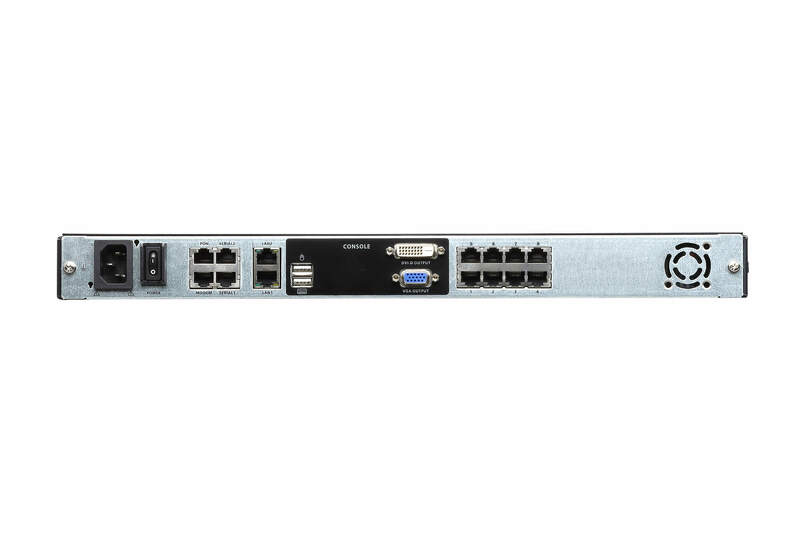 The KL1108VN switches allow local console and remote over IP access for operators to monitor and manage their entire data center locally at the switch, and over a network using a web-based browser. 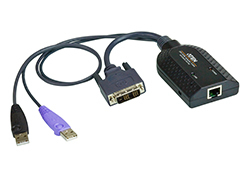 In addition, they offer out-of-band access with external modem support for BIOS-level troubleshooting when the network is down. To help manage and control an entire data center, our KL1108VN KVM over IP switches support blade servers and chassis with powerful new features such as Power Association which allows KVM ports to be associated with ATEN PDU power outlets for power management of servers from the KVM switches’ user interface. 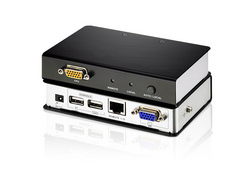 The KL1108VN KVM over IP switches now support the new Control Center Video Session Recorder (CCVSR) and CC2000 Centralized Management Software. 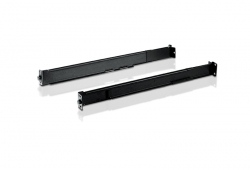 The CC2000 puts administrators in complete control of remote data centers and branch offices no matter where they are in the world – allowing them to remotely monitor and control all devices on a network, including blade server chassis, individual blades and virtual machines. 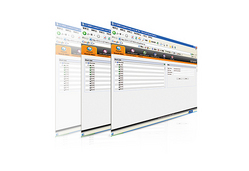 The CCVSR records all operations on servers accessed through KVM over IP switches. 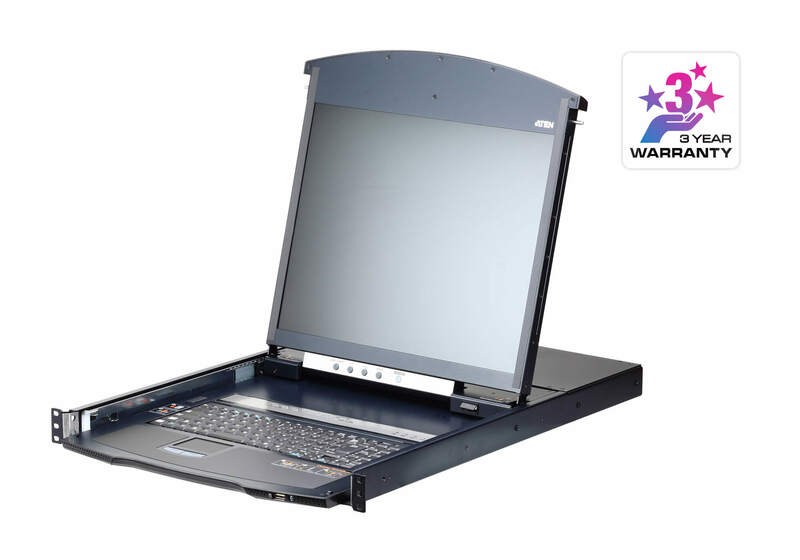 Every operation and change from the BIOS level to logging in, from running software applications to configuring the operating system is recorded and saved to a secure video file as evidence, without exception. Enhanced capabilities of KVM over IP switches also include: a Message Board, Panel Array Mode™, Mouse DynaSync™, Adapter ID and Secure Serial Server Access. 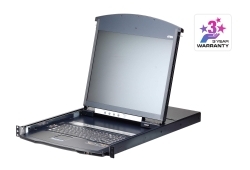 The secure access to serial-controlled devices includes network equipment, UNIIX servers, Linux servers, Sun servers and many more serial consoles. 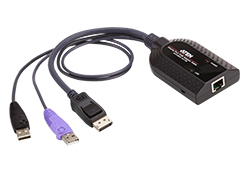 It provides installation without needing expensive serial dongles. With dual on-board NICs and out-of-band access with external modem support, the KVM over IP switches are built for reliability, to ensure 24/7 availability of remote access to all server room computers. 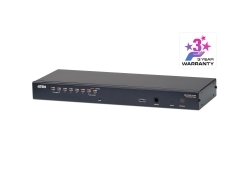 With ATEN KVM over IP switches, IT administrators can manage their server rooms and data centers from practically anywhere – minimizing travel costs and MTTR (Mean Time to Repair) – ensuring the highest availability of data center services possible. 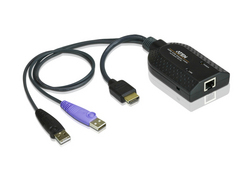 * Cascade-compatible KVM switches include the following: CS1308, CS1316, KH1508A and KH1516A. 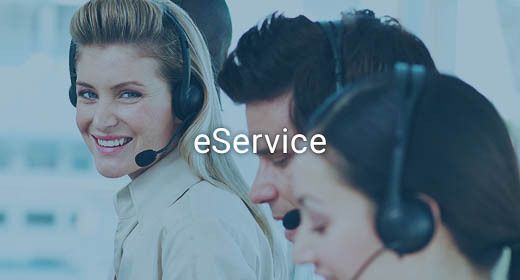 *Supports recording computer operations accessed via remote sessions.